In an era, where digital technology has come to rule almost every aspect of our life, the need to ensure digital safety has become a major concern. 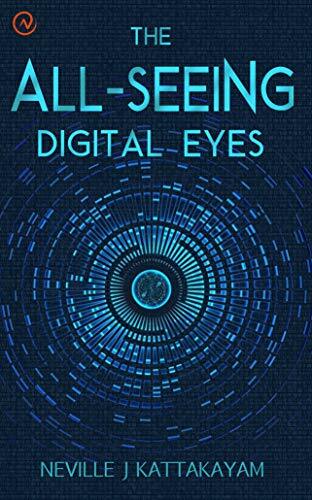 In fact it was this very thought that motivated me to review Neville J Kattakayam’s book The All Seeing Digital Eyes. The cover page of the book combined with the apt title makes its context quite clear to the readers. The book addresses the most important issue that technology users face today, namely their online safety, security and privacy. With the amount of time that people spend online, they tend to leave behind a fairly large digital footprint. The objective of this book is to make the readers aware of the various safety tips and tools to not only reduce their digital footprint but also enhance their security. The book also offers advice and guidelines to the parents to help their children enjoy a relatively safe online experience. All the methods and guidelines offered in the book are research-based and the whole book is divided into different sections for technology users of different expertise levels. The book has been penned by Neville J Kattakayam who spend a considerable amount of time online thanks to his being an IT professional. This in itself lends credibility to the contents and inspires the readers to implement the suggestions provided in their everyday internet usage. According to Neville, he does not intend to dictate the digital behavior of his readers through the book. Rather his focus is on providing them with the relevant information about responsible use of digital technology. He believes that this information can help them intelligent decisions about maintaining their safety and privacy in the virtual world. I personally found the book quite useful and even eye-opening and will definitely recommend it to all my friends and acquaintances.